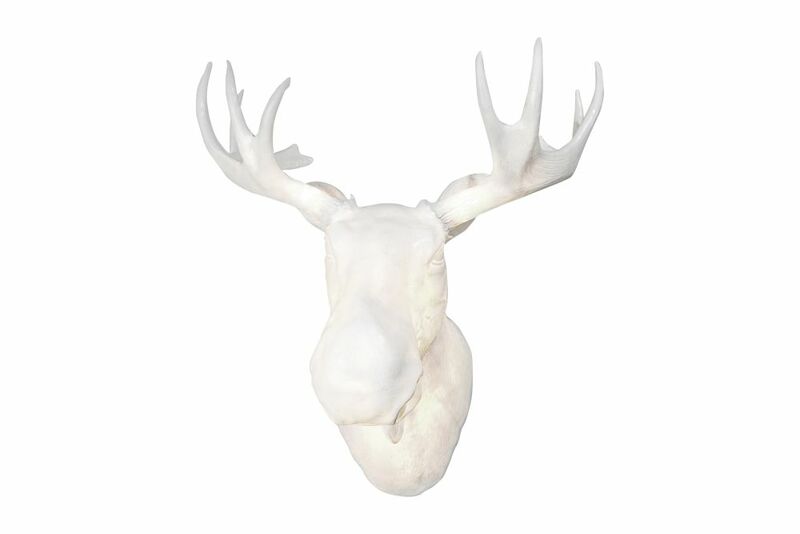 Moo is a full scale wall-mounted Norwegian moose head light. Moo may be used for both indoor and outdoor decoration. The figuratively shaped lamp body is made of poly-resin material, that gives a smooth and transparent flow of light. The bulbs placed inside the horns add extra elements of soft, sparkling and translucent light effects to the lamp. The inspiration behind the Moo lamp was found in northern Norway in the breathtaking scenery of Hamarøy, where both designers have summer houses. Here the moose is frequently seen passing close to the houses and even on the lawns. The designers hope Moo will stand out as a post-modern kitch trophy, making the viewer smile happily as they recognize this “King of the Norwegian forest”.